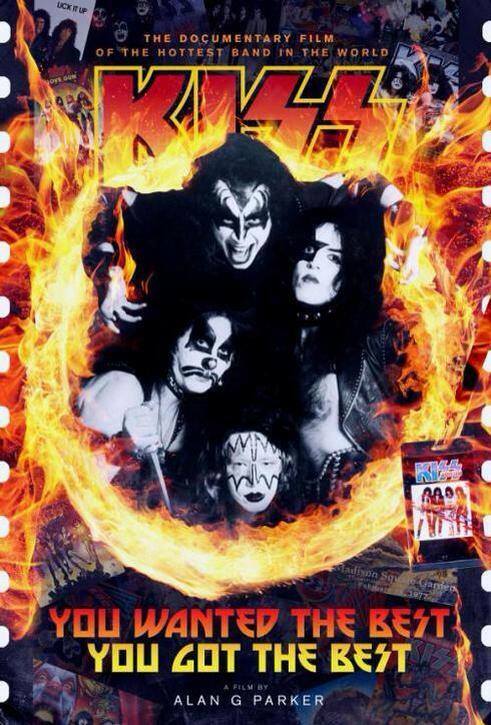 Lo and behold my friends, there is yet another “Greatest Hits” compilation for the legendary masked men of Hard Rock and Heavy Metal – The Hottest Band In The World KISS!!!! This one is entitled “KISSWORLD – The Best Of KISS” and it hit the streets in late January and I’ve finally got a copy of this in my hands. As a lifer in terms of KISS releases, I will be most likely purchasing another 50 hits packages if they come out and my main interest in this one was to see what sort of booklet might be included in the packaging. I’ll return to that topic later on but first let’s take a quick glance at the “20” tracks included on the release. From top to bottom there doesn’t seem to be a single track of “filler” and instead are all go to songs in the now massive KISS catalog. I found it interesting that the release began with “Crazy Crazy Nights” because when that song first hit I was aghast but now so many years later have found it to be enjoyable Rock and Roll. There aren’t any omissions in terms of the necessary staples as “Love Gun”, “Detroit Rock City”, “Shout It Out Loud” and of course the seminal “Rock and Roll All Nite” are included. The latter one being the original studio track as opposed to the one that we often find on such a release that hails from the essential “Alive” album. There are NO live tracks on this compilation. The post-makeup years are well represented with the most notable tracks from the era such as “Tears Are Falling”, “Lick It Up” and “Heaven’s On Fire” in addition to the album opening “Crazy Crazy Nights”. I think I would have liked to see “Who Wants To Be Lonely” here but it is not. The news was slowly making its way around the circles that focus on the legendary band KISS and the activity of their former members and it appears as though that lead guitarist Vinnie Vincent has cancelled his two upcoming “The Legend Returns” shows. These shows were to be held in Nashville, in early February. PiercingMetal Thoughts: According to what I’ve read and heard on a couple of podcasts, the promoter received a message from Vincent saying that these gigs would not be happening. The full reasons behind the cancellations remains a mystery to the general public but the promoter states that the matter is now in the hands of their attorneys and we all know what a good time that becomes at the end of the day. Over the last few months, Vincent has made appearances at a KISS Expo in Atlanta and it was a high point for all in attendance. He talked a lot about the past in a lengthy interview and even jammed a little bit. Then it was onto some appearances with Gene Simmons who was on his “Gene Simmons Vault” tour. Vinnie apparently is on a couple of the tracks that are included with this very pricey collectible. The downside of this is not only the loss of the appearances for the fans who might have been traveling from afar to do it but also the time of Carmine Appice and Tony Franklin being wasted. These two are constantly working and always in demand. Truth be told, Vinnie Vincent always seems to come with some sort of dramatics when he makes an appearance. He caused flux in the KISS lineup and according to interviews with Carmine, these gigs were always kind of up in the air. Perhaps Vincent doesn’t really wish to come back and do the whole touring thing and performing night after night, doing meet and greets, making fans happy and making some money along the way. Initially I had some hopes that this kind of thing would pay a visit to NYC and maybe The Iridium club since there is no more B.B. King’s and soon no more Highline Ballroom either but now I will not hold my breath. You fans that were going should get your money back quick, and for those who had to set up some travel and hotel accomodations as well, best of luck on you not being screwed out of that. What do you readers think about Vinnie’s mystery cancellations? Chime in down below in the comments section. Hey there readers, I wanted to take a couple of minutes out of your day to share a cool piece of press news that I received yesterday at the PiercingMetal Command HQ. It came from those fine folks at Universal Music who we have worked with a great deal over the years and they maintain the KISS catalog which is right up our alley with the band being one of our most favorite things. According to the announcement, KISS has achieved the status of being the #1 Gold Record Award Winning Group of All Time. I’ll let you read the full statement below and then I will surely come back to raise a glass of wine, coffee, beer (depending on your time zone and preference). Here we go. KISS – AMERICA’S #1 GOLD RECORD AWARD WINNING GROUP OF ALL TIME: KISS (Rock And Roll Hall of Fame), now celebrating its 40th anniversary, has earned more Gold Album Record Awards than any American band in the history of The Recording Industry Association of America’s (RIAA’s) Gold & Platinum Awards certifications. In the last 41 years, KISS has earned 30 Gold albums (26 KISS albums + 4 Solo Albums that were all released simultaneously — a feat never before achieved by any band.) KISS has 14 Platinum albums, with three albums being multi-Platinum. I’ve said it time and time again here on the blog as much as the website about my diehard appreciation for that which is KISS and since the teaser poster for their upcoming documentary film was just released and shared across the Interwebs via the mighty Facebook I had to make sure to toss my coins into the fountain, or is that the best use of my two cents? Anyway, here is the poster. Looks sweet yes? Today marks the 40th Anniversary of the first gig of the legendary KISS; Yep, on this day back in January of 1973, Gene Simmons, Paul Stanley, Peter Criss and Ace Frehley performed together under this name for a mere handful of people at a place known as the Popcorn Club. This venue would later be renamed to The Coventry which is very familiar to those who know their KISStory. The band wore garish makeup and each of them was a character of their own design with The Demon, The Starchild, The Cat and the Space Ace and it was a shock to the Rock and Roll system of the time when they all appeared together in this manner.